Can someone find me the version she is playing and/or transcribe her version? It appears to be different from the versions I'm finding online. I'm also exhausted right now so maybe I'm just being lazy. But if any of you are good at listening and can transcribe it I would be sooo grateful. You might message her and ask her directly. Don't believe that it's something magical or something beyond your abilities. You have your ears, and her left hand is in plain view the whole time. Her right hand and bow are in plain view also, and that's better than what you usually get from sheet or tab. Combine that with some skill on your part, and you can learn to play it. But the skill is something you have to build. You start with some very simple tune, not this one. 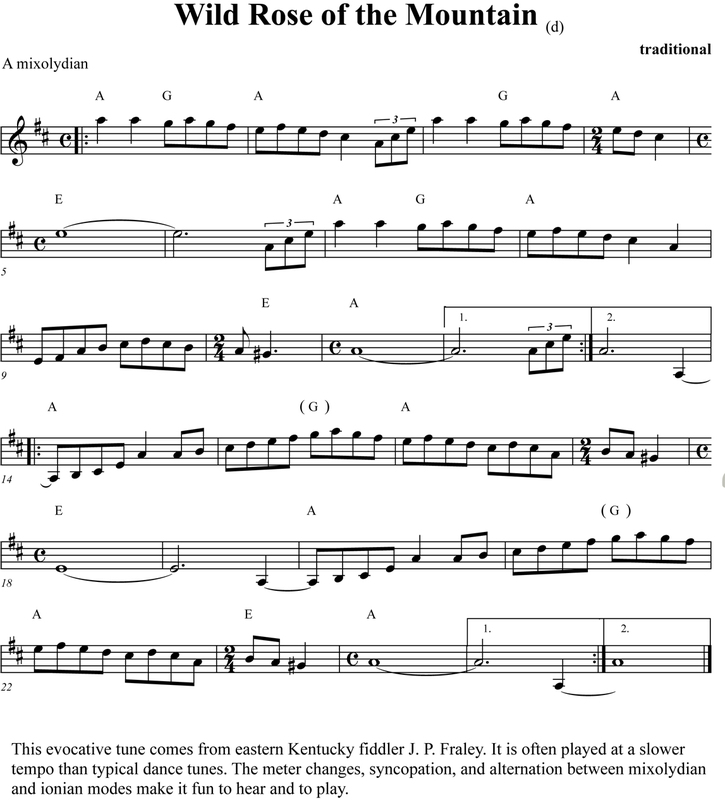 You discover the first note by matching it with your voice or with your fiddle. You can sing or play it into a tuner to make sure of the name. Write it down or remember it. Do the same with the second note, then the third, until you make it through the whole tune. Do that with ten easy tunes, and work up those tunes so that you can play them without error and without reading. Then you are well on your way to being able to play spontaneously what you hear in your ear or in your mind's ear. 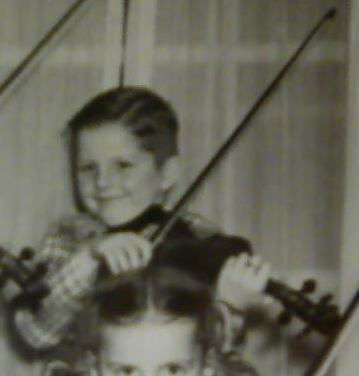 Sounds like she's playing that with the fiddle "cross tuned". AEae tuning would be my guess, at a quick listen. Hi Hman, do you read music, I attached a music sheet to see if that helps. A,E,A,E is right, I guess you saw that too, eh, Dan. It may not be exact but after a few times listening that is what I heard. Also, I don't think the violin is tuned differently, just the 1st finger over the G and D string gets the A and E.
More hearing it than seeing it, Ken. I put mine in GDgd tuning sometimes to mess around and break some ruts. There's a certain ring you get from having an open 4th across the middle strings instead of the usual 5th, and on a quick listen it sounded similar to me. I didn't examine what she is doing carefully, so I'll of course defer to Pierre on this one. You can play pretty much any piece in either standard or alternative tunings, it's just a matter of the fingerings. Yea thanks everyone. I posted this when I went to bed and didn't expect anyone to reply, let alone help! I did message her directly and I normally can find a version and touch it up a bit. I've been exhausted lately and her video wasn't as clear as I would have liked it to be. I have the sheet music posted above but she definitely adds to that. That sheet music seems way to simple so I never even gave it a second look. I'm thinking Pierre has it pretty close so I'm going to check it out. Hopefully I'll be good to go. I'll probably be adding even more double stops! I've been transcribing a few songs the past couple of days and I think I am just burned out right now lol. After looking at the sheet music and listening to her a bit refreshed, it's amazing how deceptively simple the song is. Don't know how close this is to what you want.. I appreciate everyone's help on such an easy tune but I still can't get mine to sound like hers. I thought this song was beneath me and not worth trying to learn based on how easy it is. But apparently trying to copy her rendition escapes me. I hope you recognize that to figure the double stops, you can take some strong hints from the chords on the sheet that Gil posted. You would have to determine whether she is playing in the same key as the sheet, and would have to know what notes go into a chord of a given name. It's in the same key.